Chair in the Shade: 12 Days of Christmas Swap Revel! But, today I am writing to show off all the cool goodies I got from my 12 Days of Christmas Swap partner! My partner was Aubrey from High Heeled Love. She did a great job of finding things that fit me. Everything was wrapped all cute and numbered in the order to open them. I did open them in order, but the pictures aren't in order. 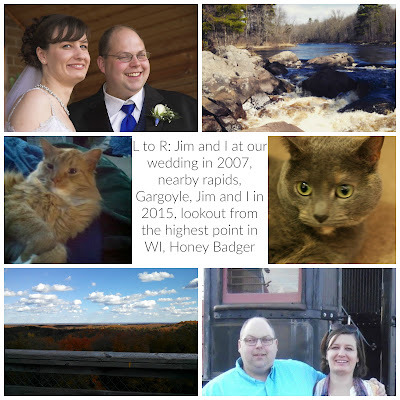 Take a peek at all the awesomeness! Row 1- 1st: A handmade scarf that is super soft and beautiful colors. The picture doesn't really do the colors justice. Scarves are always needed in Wisconsin in the winter. 2nd: Homemade chocolate chip cookies in an adorable tin. Yum! 3rd: A set of cashmere socks. I love toasty socks when cross country skiing. 4th: Christmas tree place settings to hold your silverware. So cute, although I think they'd look good as tree ornaments too. Row 3- 1st: A CD of holiday music. I love Paste magazine and used to subscribe until I got too cheap. I've played the CD a lot and it's pretty nice. 2nd: Homemade cinnamon bun soaps, super cute. 3rd: A julep compact of neutral color eyeshadows. Super handy because 90% of my eyeshadows are neutral colors and I love multi packs. 4th: An adorable sock monkey ornament and snowflake ornament. Both went up on the tree right away and both had to be up high enough that HB couldn't grab them. It was a super fun swap and I hope Aubrey liked her stuff as much as I liked mine. 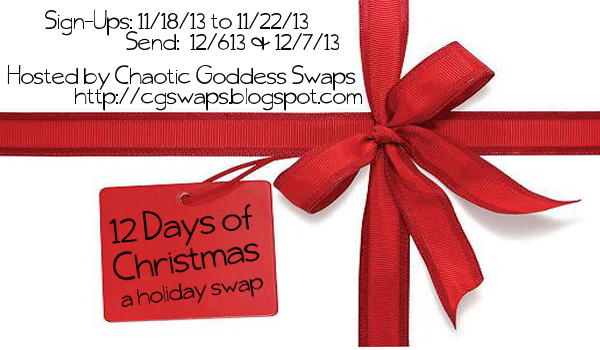 If you want to join the next swap, just follow Chaotic Goddess Swaps. The girls are always hosting wonderful swaps and they do a great job pairing everyone up and running a smooth swap, that's always fun. I'm glad that you enjoyed your package. Mine was awesome. Recap going up this weekend. I love that she sent you homemade cookies, and I'm loving that scarf, too. Thanks for joining us for this swap! Love Julep's nail polish. 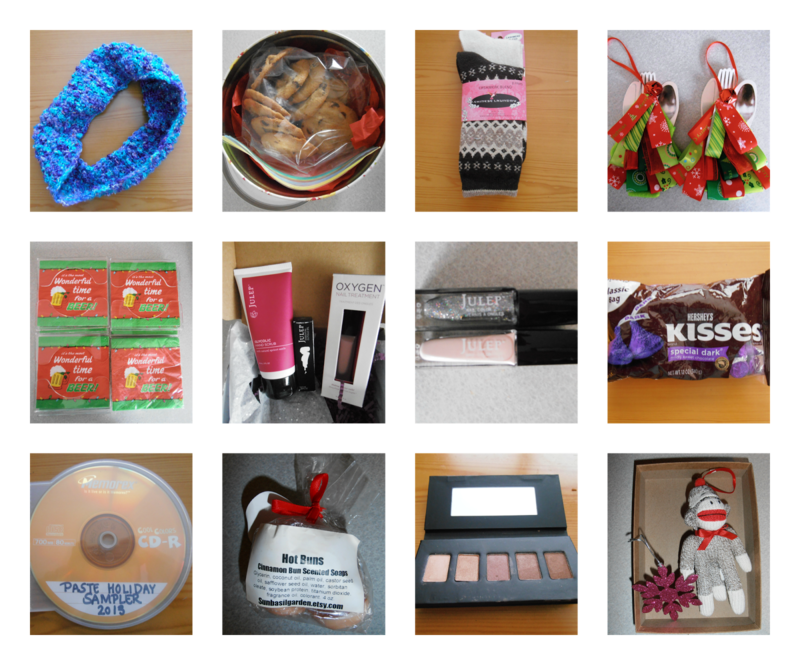 Such a great package :D Love the sock monkey ornament. Great gifts! I haven't tried Julep stuff but I've heard it is really nice. Such a great package! Aubrey is such a great swapper!